Too many churches want nothing to do with Jesus. Wait a minute! Isn’t that a bit judgemental? And what a thing to come and say as the visiting preacher at a Church Anniversary! What I mean is this: many of the assumptions Christians make about the church bear only the most meagre resemblance to what Jesus teaches about the subject. We’re going to start in the middle of the verse and work our way outwards. Firstly, church. We may protest when the world assumes that ‘church’ means ‘building’ and say, “No, it’s the people,” but what is the reality? How much of our time do we spend talking about property and finance? How often do we say we want to get more people through the doors? Have we not got locked into this idea that church is a building and an institution? But what did the word ‘church’ originally mean? It did indeed mean ‘the people’ and they didn’t have their own buildings, gathering instead in the larger homes owned by the more wealthy believers. More specifically than that, ‘church’ comes from a word used in the early Greek democracies to indicate the calling out of a people to assemble together. Split down very literally, it is ‘the called-out people’ and that came to mean ‘the assembly’ of people. We are a ‘called-out people’. We assemble together for worship because God in Christ has called us out to be distinct from the world. The church is the people who have heard the call to follow Christ, and that means gathering together (the assembly) as a holy people (we are called out from the world and set apart for a special purpose). This, then, is church. Our prime concerns are all located in that single word. Does our worship reflect the Christ who calls us out? Are living as a distinct, called-out people? How are we co-operating with the Holy Spirit who is calling other people out of worldliness to join us as Christ’s new community? And if all the discussions about property and finance were related to those issues, we’d be in a healthier position. Secondly, my church. There is a healthy way in which people can say ‘my church’. They can mean, this is the congregation where I can love and be loved, and work out my discipleship. The trouble is, too many churchgoers say ‘my church’ and mean something else. They act as if they own the church, or as if church solely exists for their benefit, and that it should conform to their tastes and prejudices. Such people throw wobblies when an act of worship does not sit nicely with their tastes in music. But it’s Jesus here who says ‘my church’. The church belongs to him. It is his. In Paul’s terms, it is the Body of Christ and Jesus is the head. Not so many years ago, it was popular in some Christian circles to hear preachers declare this claim: “Jesus wants his church back.” You know what? I think we could do with hearing that again. It’s his church, not ours. How many of our worship wars would be different if we were more concerned about what Jesus likes than what we like? How many of our petty arguments would fade in the brilliant light of knowing that the church belongs to Jesus? Aht do we need to hand back? Thirdly, I will build my church. An evangelist I used to know said that whichever town he went in the UK, the local Christians always told him the same thing: “This is the hardest place in the country for the Gospel.” Now some of that might reflect the general difficulty we have in the present climate for sympathy to Christianity, and I can understand that. But what is the alternative? If you were to believe some Christians, it is to batten down the hatches and simply ensure that my local congregation will see me out. Once I’m dead, it can close. If that attitude shocks you, let me assure you that it is widespread among churches. Yet whatever the difficulties, it has to be clear that Jesus has a big vision for his church. It is to be built. Let’s not have any arguments about quality versus quantity, Jesus wants both. He wants to build both the quality of our spiritual lives – holiness – and he wants to build the quantity of those who follow him – evangelism. It is therefore only right to ask whether questions of holiness and evangelism are central to our conversations and our meeting agenda. I fear we avoid them and major on minors. Where are the class meetings where we hold one another accountable for our growth in grace? Where are those who are making sure we focus on how we shall reach out into the local community? Fourthly, I will build my church. Some people who have got to know me well know one of my pet peeves. It’s the idea that churches and Christians run after the latest techniques and fads in order to turn around their fortunes. If someone else has made something work, then this is what we must do. If this is what we have learned at this conference, then it must be right for us. If this is the latest big-selling Christian paperback, then we must put it into practice here as soon as possible and as much as possible. Now I don’t have any problem learning from the best of what is happening. I happen to be an avid reader. I told our daughter’s teacher at a parents’ evening last week that you can’t be a Faulkner if you aren’t a reader. But what does this attitude do? It assumes a kind of technological, push-the-button approach to the spiritual life. Follow these five steps and everything will be all right. Practise this technique and your troubles will be over. For God is not a machine who responds to us programming him. God is sovereign, and if that means anything it means that he has more free will than we do. It is Jesus who promises to build his church. We want to see it grow, too, but Jesus will be the one who makes that growth take place. What does that mean for us? We may or may not use popular programmes such as the Alpha Course, but our attitude is to ask Jesus what he wants to do and what he is doing. We then seek to join in. Rather than us try to control or even manipulate things with our religious techniques, we instead place ourselves in a position of vulnerability rather than of control. Instead of taking charge ourselves, we ask Jesus to take that position. If he is to build his church, then that requires us to be dependent upon him, and therefore to seek to hear his voice and respond. Fifthly, you are Peter and on this rock I will build my church. Here’s another challenging thought, something that goes against many of our natural instincts – something ‘counter-intuitive’ to use a popular fancy word these days. If we want the church to grow more, then wouldn’t it be obvious that to be able to include more people in the church we should lower the bar for entry? Shouldn’t we make church membership easier? Besides, we don’t like to ask embarrassing or intimidating questions, nor do we want to appear judgemental. That should start to increase our numbers. But, no, Jesus sees it differently. When he says, “You are Peter and on this rock I will build my church,” he is surely responding to what Peter has just done. Peter has just confessed his faith in Jesus as the Messiah. Jesus grows his church by confession of faith in him. If you lower the bar, you stop being the church, because the church is the body of people who have faith in him. You might inflate your numbers in the short term, but in the long term you will no longer be the church. You might just about be a religious club, but you will no longer be the church of Jesus Christ. So what about the people on the fringe whom we are nurturing? Are we discriminating against them? Are we excluding them? There is still room for them. John Wesley had a number of small group meetings, not just the famous class meeting. Some of them were reserved for those who had made a clear commitment of faith and obedience to Jesus Christ. Others were open to both those who believed and those who were enquiring about the faith – or, in Wesley’s words, ‘desired to flee from the wrath to come’. Church holds an aspiration before people, namely to become radical disciples of Jesus Christ. Set the bar high. Make it worth the leap. Sixthly and finally, and the gates of Hades will not overcome it. Let’s call in the doom and gloom merchants again. The church is under attack. Christians in this country are now being persecuted. (Goodness knows how they would describe what happens to Christians in some other countries, then.) Everything and everyone is against us. It’s time to pull up the drawbridge and defend what we’ve got. Well, let’s not deny that the climate is not so positive towards Christianity in our society anymore. That much is obvious. But is it really faithful to Jesus’ vision of the church to conceive of the battle as all being one way, the forces of darkness rampaging against the church? I don’t think that stands up to the words of our Lord here. Did you notice I didn’t read the old translation, ‘the gates of Hell will not overcome it’? The association with Hell makes people think this is about evil forces assailing the church of Christ. But the translation I read is better: the gates of Hades. That is, the place of the dead. Death will not prevail against the church. Certainly, individual churches close and many decline, but Jesus is asserting the indestructible nature of his church. Can death ever conquer a community of faith founded in the Resurrection? Not a chance! And specifically, there is no need to be negative here for this reason. ‘The gates of Hades’: when was the last time you were assaulted by a set of gates? It’s ridiculous! Gates are defensive tools. They are used to protect against invasion. But Jesus is saying that his church invades and conquers the forces of death. Where death attempts to reign, we proclaim resurrection. Where the forces of sin lead to death, we proclaim forgiveness. Where death is at work in the world, we proclaim the kingdom of God. The gates of death tremble as the gospel community, the church, preaches the good news of her Saviour and Lord! In conclusion, then, yes, the church faces all sorts of challenges and difficulties today. But part of our problem is that we have allowed ourselves to believe distorted accounts of what the church is. When we return to the teaching of Jesus about the church, we have every reason to believe that God has given us a hope and a future. Let us put our house in order. Let us be humbly dependent upon Jesus Christ. And then let us face the world with confidence in him and his Gospel. I have changed my views in the sexuality debate. If you’ve known me for many years, this post might surprise you. If the 1993 Methodist Conference debate on sexuality had approved of homosexual relationships, I would have resigned as a probationer minister. Had our Pilgrimage Of Faith report in the mid-2000s approved the blessing of civil partnerships on Methodist premises, I would have had a serious problem of conscience. I would have regarded such decisions as tantamount to apostasy. So I’m now supporting the gay rights agenda? No. Are you confused? Join the club, and read on. The more I watch the debate among Christians since the Government announced its consultation on gay marriage, the more I am concerned about the tone we are setting. Honourable exceptions granted, this post is an appeal for the exercise of Christian love and respect between those of opposing opinions. This is the area where I am working hard to change, not least by spending much more time reading different opinions and befriending people with opposing views. There are several areas where both sides need to listen to each other. Throughout history and in virtually all human societies marriage has always been the union of a man and a woman. 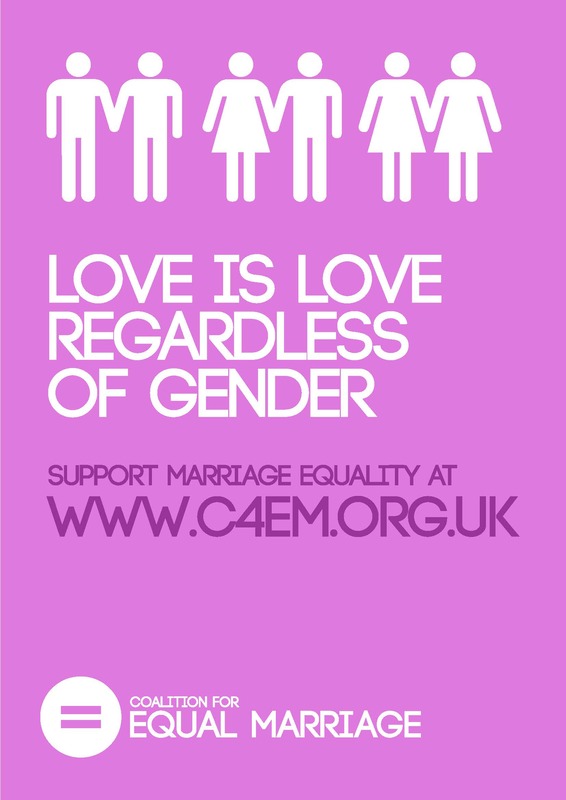 I support the right of two people in love to get married, regardless of gender. It’s only fair. They don’t answer the traditionalist point about the legal equality to marriage that civil partnerships give. They don’t say why ‘it’s only fair’. The Reformed theologian Mike Bird, in commenting on the similar debate in Australia, wonders what distinctions rule gay marriage in and polyamory out. Please, then, can both parties think harder? Clear thinking and expression are important here. In my native Methodism, the debate is tainted over thirty years by the ‘Issues in Human Sexuality’ report that reached Conference in 1982 (I think). It listed six grounds on which Christians discerned truth, ending notoriously with ‘The spirit of the age’, which was then used to trump traditional interpretations of biblical teaching. It gave the evangelical movement in Methodism (and please note in the current debate it isn’t as simple as evangelicals versus liberals any more) fuel to claim that support for homosexual practice was opposition to Scripture. Therefore anyone who takes such a view is heretical. Still it is assumed by the great majority of evangelical Methodists that the Bible is clear on human sexuality: one man and one woman exclusively for life, and chastity outside of such relationships. More widely, the public split ten years ago between the Evangelical Alliance and Courage made it look like the only ‘biblical’ position on this was opposition to homosexual practice. However, what is different in the debate now is that those in favour of committed gay relationships are interacting much more seriously with the Scriptures. In this I include Christians of various denominations. Twenty years ago I don’t think you would have had an organisation like Accepting Evangelicals, founded by Anglican priest Benny Hazlehurst. He won’t remember me, but we crossed over at theological college by a year. If you want charismatic evangelical credentials, Benny can supply them: he was not long back from serving in Hong Kong with Jackie Pullinger when I met him in Bristol. But he believes that support for gay marriage can be held with integrity alongside a commitment to the authority of the Bible. However, in my assessment there are strengths and weaknesses in both sides’ biblical interpretation. 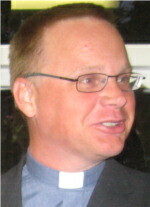 The traditional view states that every scriptural reference to homosexual practice is negative (quite true), but those campaigning for change say that these reflect particular circumstances, such as abusive relationships and gay prostitution (as in the unusual Greek words used by Paul in 1 Corinthians), and that none of them reflects the contemporary notion of committed homosexual relationships. I have to say I think that’s (only) partly right. For example, go to a moving website such as Reluctant Journey, run by George Hopper, an elderly Methodist Local Preacher who became persuaded of the case for change, and who has sought to become a Christian friend to gay people. In his analysis of the biblical material, he argues that the centurion’s servant who was healed by Jesus was most likely his master’s gay partner. That suggests some level of commitment, and therefore unwittingly contradicts the pro-gay stance. 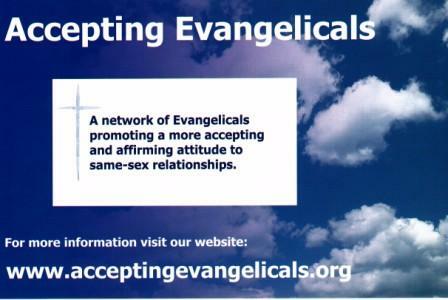 On the other hand, Jesus – who makes no comments about homosexuality – shows radical inclusion to social outcasts. You could argue it either way. Perhaps what we need is for people from both groups to sit down together rather than throw theological grenades. I suspect science is becoming less relevant to the debate. Every now and again the media will publicise some story about a scientific basis for sexual orientation. This seems to have some populist appeal on the naïve ‘If it’s scientific it must be true’ basis. None of these has ever convinced traditionalists. A doctrine of original sin is usually deployed to this effect. Moreover, as the American Baptist theologian Roger Olson recently argued that a scientific ‘is’ doesn’t make for a behavioural ‘ought’. Until recently such scientific evidence has been used in support of gay rights. However now even such a vocal campaigner as Peter Tatchell has admitted that the evidence is rather more fluid. I think I am right in saying (but have not found the link) to say that his line has become ‘Never mind science, this is a human right’. Please either correct me if I am wrong or let me know where he said this. All of which makes some of the arguments over Anglican Mainstream’s use of controversial psychiatrists to oppose homosexuality rather irrelevant. And besides, even if they were to host a conference with a psychiatrist whose reputation could not be argued to be tarnished by their opponents, essentially their position in using psychiatry seems to be that homosexual orientation is a disorder. If it is, then it is a medical issue, not a moral one. So what is the basis for deciding what’s right and wrong in sexuality? What it all comes down to is, ‘How do we know that we know?’ In other words, to give it its technical word, epistemology, that is, the study of knowledge. The traditional view takes the teaching of Scripture and makes the case I have described. Those seeking change used to put human reason more highly but that is now vulnerable. Some of the argument in the church is about differing interpretations of Scripture, particularly about which of the diverse elements of the Bible take priority, as well as the questions of translation and context. Beyond that lies the ‘secular’ argument of human rights that is such a strong narrative in society. It seems to be based on an assumption that what two consenting adults do in private is nobody else’s business, just so long as it is not harmful. Furthermore, it is influenced by a society that has downgraded the notions of responsibility and duty in favour of personal fulfilment. And I do believe it is correct to call this a ‘secular’ argument. It is essentially premised upon the ideas of personal sovereignty and consumerism. Whatever view we take as Christians, we cannot get sucked in by these. Personal sovereignty contradicts the notion that Jesus is Lord. The consumerist attitude of personal fulfilment stands against sacrifice. And in passing, I note that the Church has not only asked homosexual people not to fulfil their feelings, she has asked many single women to do the same. For given both the teaching that Christians should only marry within the faith and the fact of female predominance in Church, many single women, not finding a life partner in Christian circles have seen it as their duty to stay celibate. Whether you agree with the teaching or not, at heart both parties have been called to make difficult and painful sacrifices. Ours should be a conviction based on the big themes of the Gospel – a good Creator, who begins to make all things new in the wake of fallenness and brokenness, One who is seen supremely in his Son, a God of grace, truth and love. Which leads to my final thought. A story: I used to take some students on placement with me from a Bible college. One team led a midweek discussion group based on Nicky Gumbel’s book ‘Searching Issues’, which he wrote in response to the most commonly raised objections to Christianity raised on the Alpha Course. One of those topics was homosexuality, and the original chapter is now available as a separate booklet. Gumbel takes a traditional view of the subject. My spontaneous reaction that day is still a touchstone for me, especially because I am aware there are people on both sides (sorry to keep using that language, but I fear it’s true) who are hurting. I have gay friends who have suffered hurt, rejection and bullying. I have theologically conservative friends who are worried that the Gospel and mission are at stake here. Add to them the single women I mentioned above, of course. The Christian Church, then, needs a huge dose of love to work through this matter, and I expressed my concern about the tone of the debate in my introduction. That’s the essence of my appeal here. I don’t know, but I wonder whether we will work ourselves through to the kind of place that James Jones, the Bishop of Liverpool, described a few years ago, to the consternation of many fellow evangelicals. His Presidential Address of March 2010 calls for ‘diversity without enmity’. He believes that the differing convictions on this subject are analogous to the differences Christians hold on subjects such as the just war and pacifism. Is his proposal possible or desirable? What do you think? Or should the Church stick to one particular position? Indeed, would Jones’ proposal itself lead not to co-existence but to a singular conclusion? Just one final word. I am happy to have comments from people of whatever persuasion, but in the spirit of this post I will watch for the tone of comments. Please, no labelling of people as homophobes or unbelievers. Let’s see if we can demonstrate love in the tone of our contributions. On Friday night, my wife slept outside in the cold. And I am proud. Am I proud to be a heartless husband who is happy to allow his belovèd to be subjected to the onset of winter? No. I am proud, because she did it as one of sixty or so people participating in a sponsored sleep out for Chelmsford CHESS, a Christian organisation that supports homeless people in our town. Among them were what we used to call Sixth Formers from two local secondary schools. I have calculated that after the addition of Gift Aid where claimed, she will have raised £684.53 towards the amazing work that Chelmsford CHESS undertakes. They began when the churches of the town used to open their halls on a rota basis as places where the homeless could sleep. Then they bought a property and made it a night shelter. They now also have a day centre which offers job skills and recreation, and another residential property for people they are helping to move on back into ‘normal’ life. I am proud, too, that I have two of their trustees in my churches. One is the Managing Trustee. He has had a passion to serve the homeless since he took early retirement from the world of banking. The other has only recently become involved when he retired early from business. He plans to run an Alpha Course among the clients. That, to say the least, will be interesting. Obviously, a sponsored sleep out is meant to simulate – but only to a limited extent – the plight of the homeless. It took place in a churchyard. The night had begun with musical entertainment. There were security patrols. Participants could go into the church and make a coffee if they wanted one. They had access to toilets. At 6:30 am, the sleep out was formally broken by the arrival of bacon sandwiches. None of which is to pretend it was easy – Debbie only slept for about twenty minutes all night – but it is to remember that those who are on the streets have it even tougher. I’ve never been very good in dealing with homeless people. I’m not streetwise enough to find wise ways of serving them. I have oscillated between naïveté and insensitivity in my responses. But I am glad we can find simple ways of supporting organisations like Chelmsford CHESS. It’s rather like the attitude my grandmother took to world mission. Inspired by the example of her friend Gladys Aylward, she longed to serve the church in overseas mission. However, health reasons prevented her. Unlike Aylward, who was also initially turned down, she was unable to find another way of going abroad. So my grandmother became a lifelong fundraiser for world mission causes. When it’s not possible to go in the cause of mission, Christians can pray and give. The other side is that it’s easy for us to default to giving and prayer as a way of not doing mission, however much finances and intercession are needed as key jigsaw pieces in the picture of mission. Sometimes they are what we do as a cop-out, because we’d rather not find vulnerable ways of sharing the Gospel ourselves in word and deed. I have known too many churches where the understanding of mission is limited to fund-raising. A Home Missions or World Church Sunday has meant a visiting speaker and a collection. The congregation has then thought it has shared in mission. Church authorities have colluded in this deceit: just pay us, we are the experts. But I do know that in Debbie’s case it was different. She had been so moved by hearing a speaker from Chelmsford CHESS at a church midweek meeting that she had to find something she could do as a Christian about this terrible social need – one that will surely only worsen, the longer current financial strictures continue. So, yes, I am proud of my wife.